U.S. Fish and Wildlife Service yesterday announced that $20 million in grants will go to 24 coastal wetland projects throughout the United States. Fully one-third of those grants will go to Washington state, and seven of the eight will be used for projects in the Puget Sound region. “This just goes to show that Puget Sound is recognized as one of the most important estuaries in the country,” Michelle Connor, chief program officer for Fortera, told me for a story in today’s Kitsap Sun. I believe this focus on Puget Sound also could say something about state and local priorities in a time of economic hardship. Former Gov. Chris Gregoire often said the effort to preserve and protect Puget Sound must not let up, regardless of the economy, or we could lose the precious ecosystem under the pressure of ongoing development. Here’s what she told me in an interview before she left office (Water Ways, Dec. 12, 2012). Gov. Jay Inslee has his hands full trying to fully fund education. 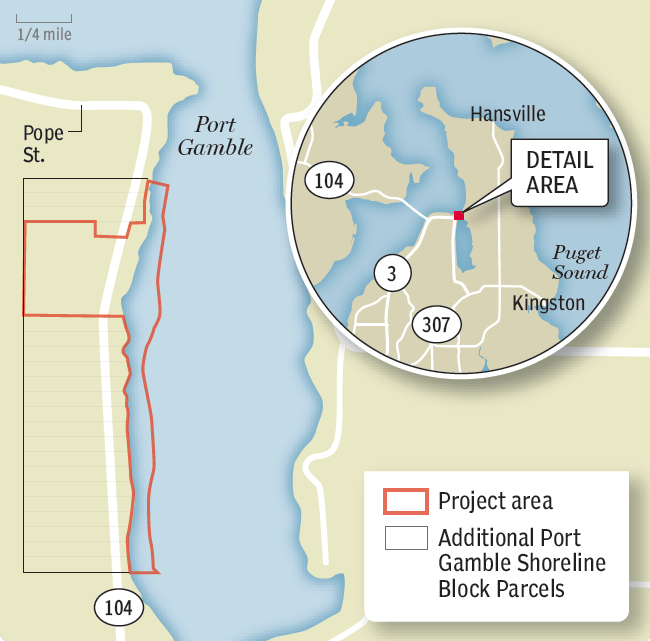 As far as I know, he has made no specific funding commitments for Puget Sound. Meanwhile, priorities for both the Legislature and Congress are evolving. As for these new coastal grants, the total local and state match for all these projects nationwide is $21.3 million — more than the total of the federal grants. Fortunately, the local share for most of the projects in Washington state are considerably smaller than the federal share. I’m not sure how many grant proposals were submitted, but it is clear that only those states and communities willing put out their own dollars in these tough economic times would even apply for the money. 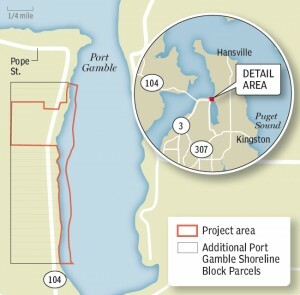 My story in today’s Kitsap Sun deals mostly with a project that would buy 1.8 miles of undeveloped shoreline along Port Gamble Bay, but some of the other projects in Puget Sound are equally valuable. For a brief description of those projects, read the news release (PDF 147 kb) I received from the U.S. Fish and Wildlife Service. The nationwide list (PDF 66 kb) contains only funding information.